This is all well and good but can he do it when Biff Tannen and his goons is chasing him? This JOE has created an entire life philosophy around the teachings of Marty McFly from Back to the Future. 1) If anyone calls you chicken then you have to front up. 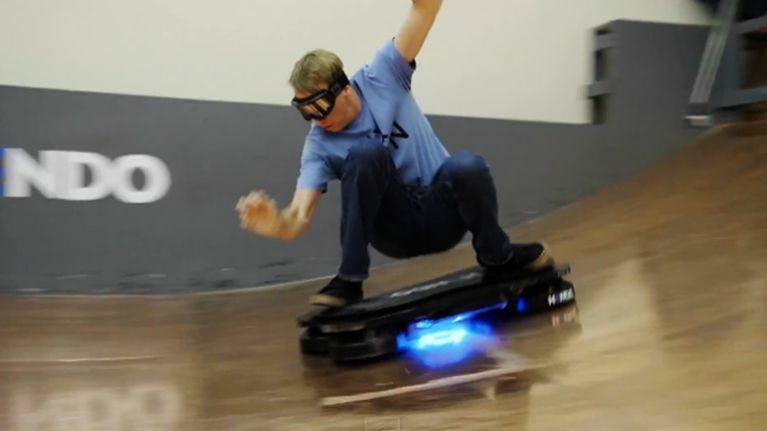 3) Skateboards, time machines and hoverboards are the only acceptable means of transportation. We previously told you about the functioning prototype that was devised by Hendo Hover, not Matel, but we're a step closer to re-enacting Back to the Future (Parts II and III for all you anoraks). All we need now is a DeLorean and the ability to play Johnny B. Goode on the electric guitar. Take a look at Tony Hawk in action.